After a successful start to his F1 campaign last year, Daniel Ricciardo believed that offers from Mercedes and Ferrari would materialize, and he felt disappointed when they didn’t. The former Red Bull driver had won two of the first six races of the 2018 championship, sharing the top spoils equally with Sebastian Vettel and Lewis Hamilton. In the last year of his contract with Red Bull, Ricciardo mulled a change of scenery for 2019, and expected his team’s front-running rivals to bid for his services. 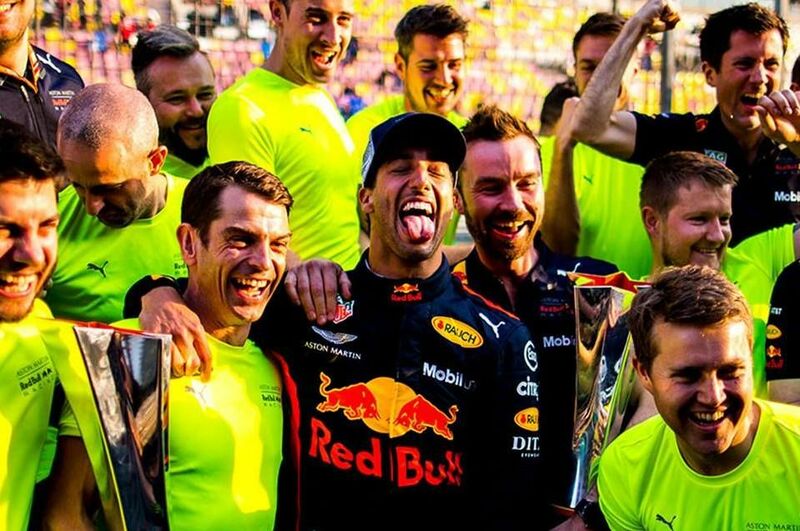 “I felt like my pull, so to speak, couldn’t have been any higher,” Ricciardo told Sky Sport F1‘s Natalie Pinkham in a podcast. “In a way, I did expect probably more out of that, and at the time I think rightly so. Ricciardo was asked if the lack of interest from Maranello and Brackley had frustrated him. ”Yes to answer it bluntly,” he responded. As events unfolded, Ricciardo switched his allegiance to Renault, Mercedes played it safe by keeping Valtteri Bottas on its books and Ferrari opted to promote the mercurial Charles Leclerc to the Scuderia. In hindsight, Ricciardo believes both teams went for choices that are fully justified. “I guess the Mercedes one is probably a bit of a different situation,” he explained. “It’s a slightly different dynamic with the path they’ve chosen. I guess for them it’s more conservative, but I can’t argue because it’s worked. As much as he would have enjoyed another crack at beating Vettel in the same team, Ricciardo believes the Scuderia’s decision to recruit Leclerc was a rational one in light of how the Monegasque performed at Sauber. “He’s a young up and coming prospect, and maybe that was part of their plan all along, regardless of what my results were and what his results were,” added the Honey Badger.